RadAutoCompleteView provides an option to customize the template that vizualize the tokens through TokenTemplate property. TokenTemplate (DataTemplate): Defines the template used to vizualize the tokens. 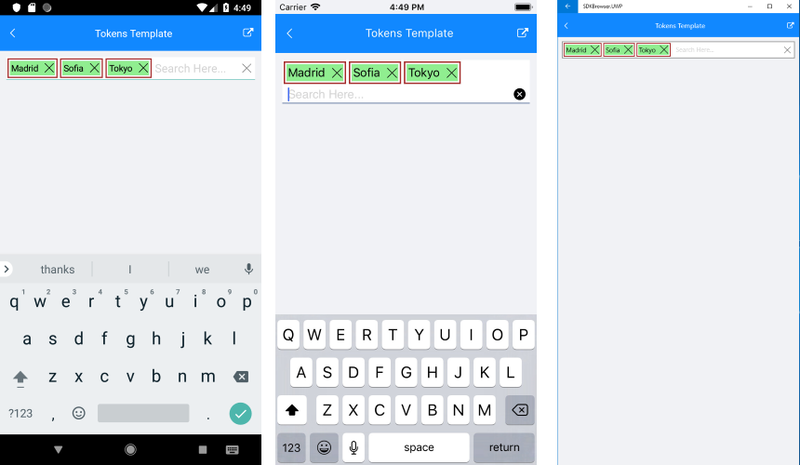 A sample Tokens Template example can be found in the AutoCompleteView/Templates folder of the SDK Samples Browser application.